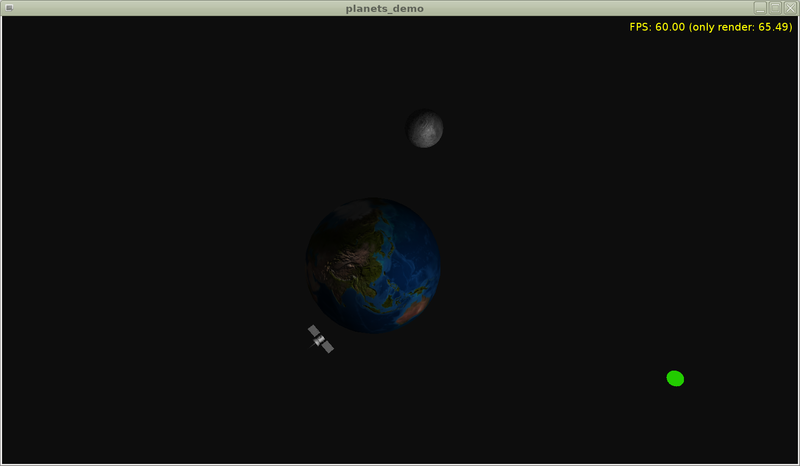 A new Castle Game Engine demo shows rendering of an Earth, Moon and a satellite (exported from Blender with normal maps), and animating their transformations by code. The complete demo source code, with README explaining everything, is here. This demo was created thanks to the support of Doug Chamberlin on Patreon. Thank you!